Circus Maximus is the team assembled by Python Anghelo to build his vision of Pinball Circus. The game is a pinball legend, abandoned at the prototype stage 20 years ago by Williams, then one of the world’s dominant manufacturers in the space. Though only incomplete prototypes remained, James Loflin and Paul Kiefert worked with their friend and creative mastermind Python Anghelo before his death to capture his original vision of the famed game. Now, Circus Maximus aims to finish the journey Python started many years before: to bring the world one of the most innovative and unique pinball games on the planet. Multimorphic believes the future of pinball lies in the hands of consumers, which is why they developed the P3. The P3 is a modular, multi-game, pinball platform that merges the physical gameplay characteristics everybody loves about pinball with dynamic and interactive artwork, modular shot layouts, and customizable cabinet styles. Multimorphic founder Gerry Stellenberg will be on hand with his first complete title, Lexy Lightspeed – Galaxy Girl. Famed internet celebrity and the star of The Ben Heck Show on Element 14, Benjamin J. Heckendorn is the designer of the critically-acclaimed “America’s Most Haunted” pinball machine produced by Spooky Pinball. Ben is a graphic artist turned geek superstar famed in the world of electronics “modding”. From hits like his Bill Paxton pinball machine to the in-demand XBOX 360 Laptop, Ben is known for hacking-in-to pop culture’s biggest gadgets and giving them his own unique and playful spin. 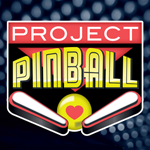 Project Pinball Charity Group. Inc. is dedicated to providing recreational relief to its small patients and their families, as well as the physicians and nurses who care for them. A pinball machine is a powerful instrument that offers therapeutic benefits that fit perfectly within the dynamics of a hospital environment. It helps keep patients active and mobile while also providing amusement. Project Pinball continues to see how helpful a pinball machine can be in a hospital setting. Headquartered in Bonita Springs, Florida, Project Pinball Charity, a nonprofit 501(c)3, has been placing and maintaining pinball machines nationwide into Children’s Hospitals since 2011. Brian Colin is a veteran Video Game Designer/developer with over 32 years in the industry and over 90 titles under his belt, including some of the most-popular, highest-earning, best-selling, video arcade games of all time! The designer of the groundbreaking RAMPAGE arcade game, Brian has also designed or contributed to numerous classic and modern games such as XENOPHOBE, SPY HUNTER, ARCH RIVALS, DEMOLITION DERBY, ZWACKERY, PIGSKIN, GENERAL CHAOS, RAMPAGE WORLD TOUR, STAR TREK VOYAGER, THE MUNSTERS, THE KOMATSU CHALLENGE, , RAIDERS RUN… and many, many more. As CEO of his own independent game development company, Game Refuge Inc., Brian continues to create original, innovative gameplay experiences for players the world over. Mr. Mitchell is well known among geeks and non-geeks alike. Having achieved success in the early 80’s by setting records on video games, Billy was featured in Life Magazine and even toured the country as member of the U.S. National Video Game Team. Setting himself apart as a fierce competitor, Billy was named “Video Game Player of the Century” at the 1999 Tokyo game show and received a special award presented by Namco founder Masaya Nakamura for the first-ever “perfect” game of Pac-Man. Mr. Mitchell has also starred in the films Chasing Ghosts: Beyond the Arcade and King of Kong: A Fistful of Quarters. To this day, Billy Mitchell continues to score world records and promote gaming for a new generation. Chris Rickwood is an award winning composer known for creating dramatic musical scores for video games including the most recent multiplayer hit, Smite. His past work ranges from catchy melodies underscoring fights with cartoon evil geniuses to massive soundscapes suitable for building and destroying empires. Blending the traditional with the modern, Rickwood’s musical style is often a marriage of current musical genres with traditional instrumentation and orchestration. Hip hop for hammered dulcimer and djembe or heavy metal for full orchestra are the norm. Credits include Rising Storm, Orcs Must Die, Age of Empires Online, Madden NFL 12, Global Agenda, and Tribes: Ascend. Since 1981, Twin Galaxies founder Walter Day has played an integral part in shaping the landscape for classic and modern-day gaming. What began as a storefront arcade in Ottumwa, Iowa, Twin Galaxies has morphed into the gold-standard for competitive gaming record keeping! Walter has been featured in multiple film, television, and print projects including “King of Kong: A Fistful of Quarters,” “Chasing Ghosts: Beyond the Arcade,” and as assistant editor for video games in the “Guinness Book of World Records.” Since his retirement from the video game industry in 2010, Walter helped to establish the International Video Game Hall of Fame and continues to develop Twin Galaxies trading cards to honor achievements in gaming. Adding to our list of current and former world record holders in attendance at SFGE, we are pleased to welcome Joel West! Joel is a legend in the classic gaming community, having been featured in the infamous 1982 LIFE magazine photo spread featuring video game superstars. The former record holder for Berzerk has been featured in numerous news articles and in the 2007 documentary feature film, Chasing Ghosts: Beyond the Arcade which was screened at the Sundance Film Festival. Pat is an Atlanta-based improv actor who holds the Guinness World Record for Longest Guitar Hero Marathon, a title earned during “Hero for the Heart: A Guitar Hero Record Setting Rock-a-thon to benefit the American Heart Association,” which raised over $6,500 for the charity in honor and memory of his father. As hosts of the Gameroom Junkies Podcast, Preston and Patrick talk feverishly about a topic they love – gamerooms and the games inside. For over four years, these guys have recorded monthly episodes of their podcast to talk about their love of the hobby, conduct interviews with enthusiasts and industry experts alike, and answer questions about collecting, repairing, and restoring these classic games from their youth. Preston and his obsession has been featured in news articles, radio spots, and on Discovery Channel’s television show Auction Kings. Additionally his writing has appeared in Paste Magazine, RETRO Magazine, GeekDad.com, and the Screen Crush Network. Together, the Gameroom Junkies have been featured on PodCrash! with Attack of the Show’s Chris Gore and on AVClub.com. They are the newest member of the GeekDad Podcast Network. Representing the beating heart of an active Louisville, Kentucky classic arcade collecting community, Brent and Whitney from Broken Token share a ‘southern view’ (and some definite drawl) on the vibrant hobby of collecting, restoring and playing the arcade and pinball classics from the late 70′s to today. The guys cover everything from the golden age of arcade gaming to the newest pinball titles currently hitting the streets and everything in between. 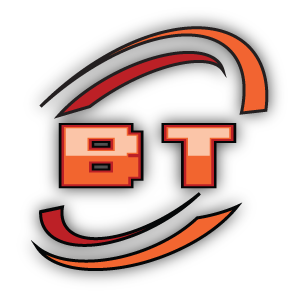 Their technical and game restoration experience compliment an entertaining catalog of collecting stories, interviews and sit-in guests as well as game room updates, forum news, listener mail and twitter questions (with the occasional live streams). The Voice of Geeks (VOG) Network is a content media network dedicated to geek culture including Video Games, Anime, Comics, Science Fiction, and Fantasy. VOG is anchored by its 24/7 internet radio station featuring 12 live and recorded podcasts, and is also accompanied by an interactive website featuring editorials, reviews, interactive games, as well as a unique leaderboard and loot system for those who participate with content. A podcast, a commentary, a man out of quarters. Nate Shivers is a force of nature. With over 150 episodes (and counting) of his podcast “Coast 2 Coast Pinball” in the can, Nate has established himself as an industry insider delivering insightful commentary, celebrity interviews, and ground-breaking news. Traveling literally coast to coast, Nate regales listeners with trip reports, industry speculation, forum static, passionate pinball talk, and more. Brad Arnold is the co-host (with his pals Randy Kindig and Kevin Savetz) of ANTIC, The Atari 8-bit Podcast. The trio focuses on the world of Atari 8-bit computers (800, XL, XE) and Atari computing history. Along with sharing a passion and expertise of all things Atari, ANTIC has featured memorable interviews with Atari insiders and former employees. Brad is also the co-founder of the Atlanta Historical Computing Society and one of the primary sponsors of the Vintage Computer Festival Southeast.